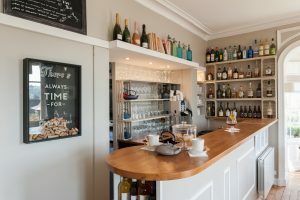 Between Deauville and Bayeux, one and a half hour from the mythical Mont Saint-Michel, borded by the D-Day landing beaches, the charm hotel Les Villas d’Arromanches is a peaceful place to rest at the heart of a History – filled Normandy. 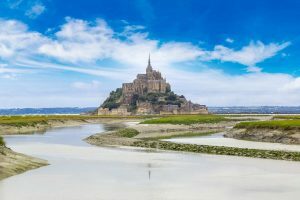 3 minutes from Arromanches’center, you will love the calm of the seaside and the quiet of this dwelling with character from the nineteenth century, made of stone and timber, and its verdant and lush park. Welcome to our charming hotel. Live your saty in Normandy in 360 degrees : Les Vllas d’Arromanches welcome you for a virtual tour in the heart of a typical Norman construction. 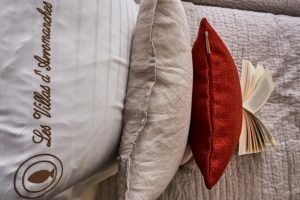 Sample in 3D the quality of life in our seaside hotel, its luxurious rooms decorated with taste, its lounge bar and lush, verdant park where a pergola awaits you..